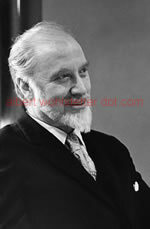 This latest installment provides a very partial list of Albert Wohlstetter’s writings from 1970 to 1979. During this decade, Albert’s work in strategy covered a broad range of topics, such as (but certainly not limited to): debates over the anti-ballistic missile (ABM) system; over how best to respond to limited nuclear and less-than-nuclear aggression; and over how best to stem nuclear proliferation and constrain civil nuclear energy’s military potential. Albert Wohlstetter, “Importance of Continuing the SAFEGUARD Program,” testimony before the US Senate’s Committee on Armed Services, hearing on Authorization of Military Procurement, Research and Development, Fiscal Year 1971, and Reserve Strength, Part 3 of 3 (Washington, DC: US Government Printing Office, May 19, 1970), pp. 2223-2292. Albert Wohlstetter and Sinclair Coleman, Race Differences in Income, R-578-OEO (Santa Monica, CA: RAND Corporation, October 1970). HTML version available online at the RAND Corporation’s website. Albert Wohlstetter, et al., “Appendix IV: Correspondence and Comments,” Operations Research [journal of the Operations Research Society of America], Vol. 19, No. 5 (September 1971), pp. 1246-1258. Albert Wohlstetter, “An Argument for the ABM,” in Howard Bliss and M. Glen Johnson, eds., Consensus at the Crossroads: Dialogues in American Foreign Policy (New York, NY: Dodd, Mead and Co., 1972), pp. 297-307. Albert Wohlstetter, “Japan’s Security: Balancing After the Shocks,” Foreign Policy, No. 9 (Winter 1972), pp. 171-190. Albert Wohlstetter, et al., “The Debate on Military Policy: How Much is Enough? How Mad is MAD?,” in Fred Warner Neal and Mary Kersey Harvey, eds., Pacem in Terris III: The Military Dimensions of Foreign Policy , Vol. 2 of 4 (Washington, DC: Center for the Study of Democratic Institutions, 1974), pp. 37-43. Reprinted in Robert Zarate and Henry Sokolski, eds., Nuclear Heuristics: Selected Writings of Albert and Roberta Wohlstetter (Strategic Studies Institute, 2009). Albert Wohlstetter, “Is There a Strategic Arms Race?”, Foreign Policy, No. 15 (Summer 1974), pp. 3-20. Albert Wohlstetter, “Rivals, But No ‘Race’,” Foreign Policy, No. 16 (Fall 1974), pp. 48-81. Albert Wohlstetter, Legends of the Strategic Arms Race , USSI Report 75-1 (Washington, DC: United States Strategic Institute, September 1974). Albert Wohlstetter, “Clocking the Strategic Arms Race,” opinion, Wall Street Journal, September 24, 1974, p. 24. Albert Wohlstetter, “Threats and Promises of Peace: Europe and America in the New Era,” Orbis, Vol. 17, No. 4 (Winter 1974), pp. 1107-1144. Albert Wohlstetter, “Optimal Ways to Confuse Ourselves,” Foreign Policy, No. 20 (Fall 1975), pp. 170-198. Albert Wohlstetter, “Racing Forward? Or Ambling Back?,” Survey, Vol. 22. Nos. 3/4 (Summer 1976), pp. 161-217. Updated 1977 version reprinted in Robert Zarate and Henry Sokolski, eds., Nuclear Heuristics: Selected Writings of Albert and Roberta Wohlstetter (Strategic Studies Institute, 2009). Albert Wohlstetter, “On Moving Toward Life in a Nuclear Armed Crowd?,” testimony before the US House of Representatives’ Committee on International Relations, hearing on Extension of the Export Administration Act of 1969 (Washington, DC: US Government Printing Office, June 16, 1976), pp. 456-505. Albert Wohlstetter, “Spreading the Bomb Without Quite Breaking the Rules,” Foreign Policy, No. 25 (Winter 1976), pp. 88-94 and 145-179. Reprinted in Robert Zarate and Henry Sokolski, eds., Nuclear Heuristics: Selected Writings of Albert and Roberta Wohlstetter (Strategic Studies Institute, 2009). Henry S. Rowen and Albert Wohlstetter, “Varying Response with Circumstance in Europe,” in Johan Jørgen Holst and Uwe Nerlich, eds., Beyond Nuclear Deterrence: New Aims, New Arms (New York, NY: Crane, Russak and Co., 1976), pp. 225-238. Albert Wohlstetter, “Racing Forward? Or Ambling Back?,” in Robert Conquest, Defending America (New York, NY: Basic Books, 1977). Reprinted in Robert Zarate and Henry Sokolski, eds., Nuclear Heuristics: Selected Writings of Albert and Roberta Wohlstetter (Strategic Studies Institute, 2009). Albert Wohlstetter, “Two Calls for Joseph Kraft to ‘Repent’,” letter to the editor, Washington Post, January 15, 1977, p. A18. Reprinted as: Wohlstetter, response to Joseph Kraft’s “America’s Hawks Glower at Carter,” letter to the editor, Los Angeles Times, January 17, 1977, p. C7. Albert Wohlstetter, “Wohlstetter Denies ‘Alarmism’ Charge,” letter to the editor, Chicago Sun-Times, February 6, 1977. Albert Wohlstetter, “A Delicate Balance,” letter to the editor, The New Republic, March 3, 1977. 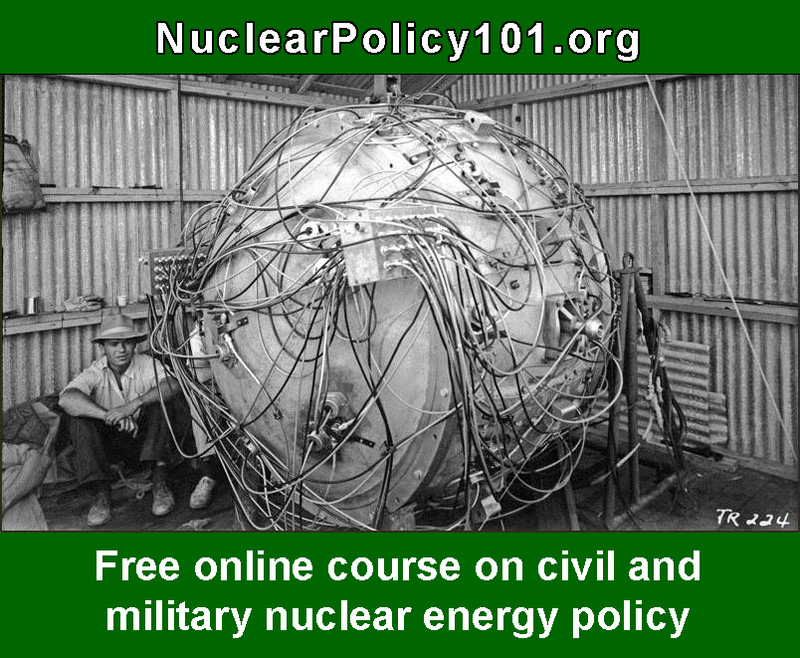 Albert Wohlstetter, Thomas Brown, Gregory Jones, David McGarvey, Henry Rowen, Vincent Taylor and Roberta Wohlstetter, “The Military Potential of Civilian Nuclear Energy: Moving Towards Life in a Nuclear Armed Crowd?,” Minerva, Vol. 15. No. 3 (Fall 1977), pp. 387-538. Albert Wohlstetter, “On the Turkish Embargo,” testimony before the US House of Representatives’ Subcommittee on Europe and the Middle East, Committee on International Relations, Foreign Assistance Legislation for Fiscal Year 1979, Part 9 (Washington, DC: US Government Printing Office, pp. 357-393), April 25, 1978. Albert Wohlstetter, “Must We Decide Now for Worldwide Commerce in Plutonium Fuel?,” in Wohlstetter, et al., eds., Nuclear Policies: Fuel Without the Bomb (Cambridge, MA: Ballinger Publishing, 1978), pp. 21-56. Albert Wohlstetter, “The Strategic Importance of Turkey and the Arms Embargo,” Journal of International Relations, Vol. 3, No. 2 (June 1978). Albert Wohlstetter, “Lift the Turkish Embargo,” opinion, Wall Street Journal, June 14, 1978, p. 22. Albert Wohlstetter, et al., Nuclear Alternatives and Proliferation Risks, final report to the US Department of Energy in fulfillment of EN 77-C-01-2643, PH-78-06-858-34 (Los Angeles, CA: PAN Heuristics, July 27, 1978). Albert Wohlstetter, “The Strategic Importance of Turkey and the Arms Embargo,” in NATO, Turkey and United States Interests (Washington, DC: American Foreign Policy Institute, 1978), pp. 34-42. Albert Wohlstetter, “Making Peace and Keeping It,” opinion, The New York Times, January 26, 1979, p. E17. Albert Wohlstetter, “‘Lesser’ Excluded Cases,” opinion, The New York Times, February 14, 1979, p. A25. Albert Wohlstetter, “The Uses of Irrelevance,” opinion, The New York Times, February 25, 1979, p. E17. Albert Wohlstetter, “Needed: A More Flexible View of US Force,” opinion, Chicago Sun-Times, March 1, 1979. Albert Wohlstetter, “Breeders and the Bomb,” opinion, The New York Times, March 14, 1979, p. A23. Albert Wohlstetter, “Can We Afford SALT?,” opinion, The New York Times, March 25, 1979, p. E19. Henry S. Rowen and Albert Wohlstetter, US Non-Proliferation Strategy Reformulated, report prepared for the Council on Environmental Quality, the US Department of Energy and the National Security Council in fulfillment of EQ-8AC021 (Los Angeles, CA: PAN Heuristics, August 29, 1979).